[ Feature]: Brand Clothing, Excellent Workmanship! Fashion Trending Styles,Comfortable,Delicateness. [Service]: High Quality + Free Ship + 24 Hours Online Service + Brand Licensing Dropship. 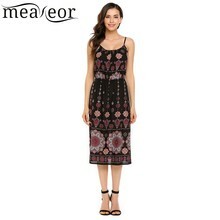 [Meaneor Advantages]: Real picture for reseller + Bulk Price Coupon for Wholesale + 2 pieces or more will get extra 5% off! Your order did not arrive due to exceptional circumstances outside the control of Praticus-Fun Gifts store (i.e. not cleared by customs, delayed by a natural disaster). Good fit but I felt personally a bit frumpy in it. I liked it so much I immediately ordered another in a different colour. Lovely, stretchy and very flattering. Great for the price. Lovely colour true to picture. Quite thin so will be nice and cool in the summer, but was equally comfortable with leggings. When I opened the pack and felt the fabric I thought it felt a little thin and would be see through.. was pleasantly surprised this looks really nice on and has plenty of room in the bust department.